Like our best-selling Chop-It, the Chop-It XL is one of the most useful tools for the hobbyist working in wood or plastic strip material. Makes clean, neat, feather-free and accurate cuts. 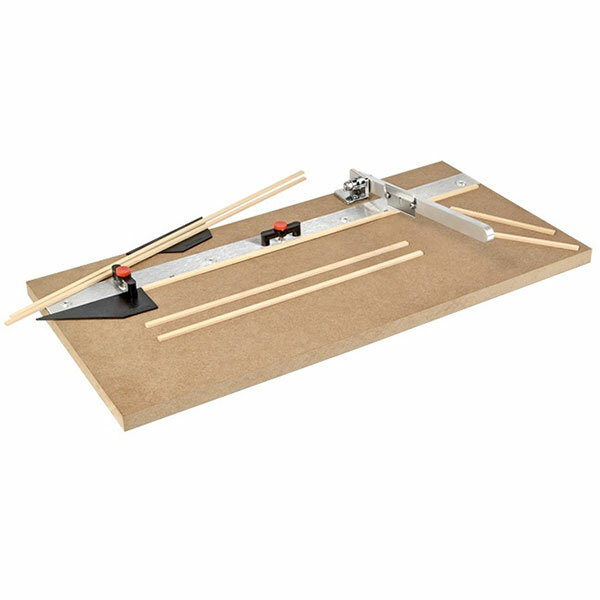 15 inch extra-long base with adjustable stop lets you duplicate long pieces . . . easily and inexpensively. 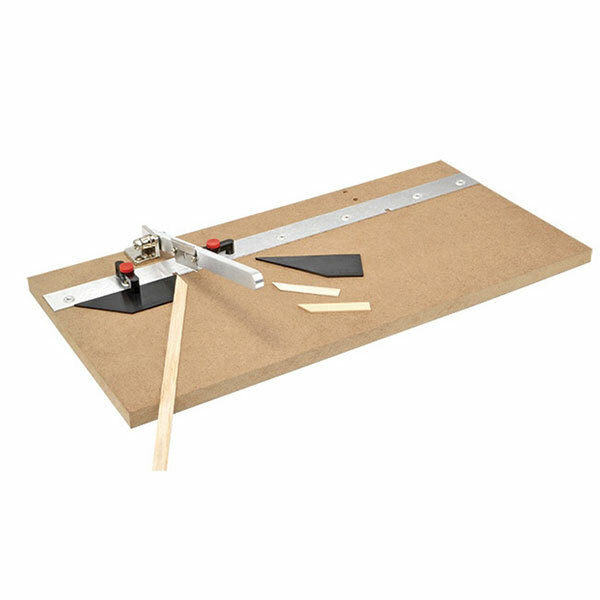 Perfect miter cuts are a breeze with the 30, 45 and 60 degree guides we include. Excellent for model ship planking, model railroad structures, dollhouse furniture and molding, plus hundreds of other uses. Handle may be positioned in 2 different locations for left- or right-hand use. 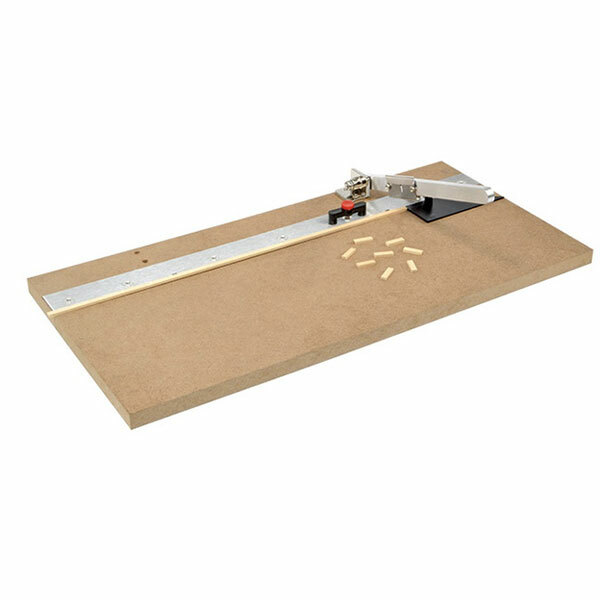 Cuts material up to 3/32 inch thick. Uses readily available single edge razor blades. Includes pre-assembled base, aluminum handle, 2 cutting guides, 2 cutting guide clamps with thumbscrews, 2 razor blades and 4 non-slip rubber feet.